Check out those big smiles from this mornings parasailing trip in Destin, Florida courtesy of Xtreme H2o Sports. 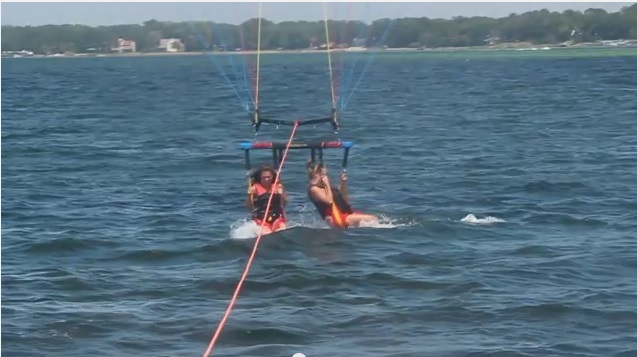 To go parasailing in Destin head over to http://xtremeh2o.net/parasail.html. We even got to stop and see the dolphins! Click on the pictures above for bigger versions! Check out some older pictures for flash back friday. Vist http://www.xtremeh2o.net/parasail.html to parasail in destin today!